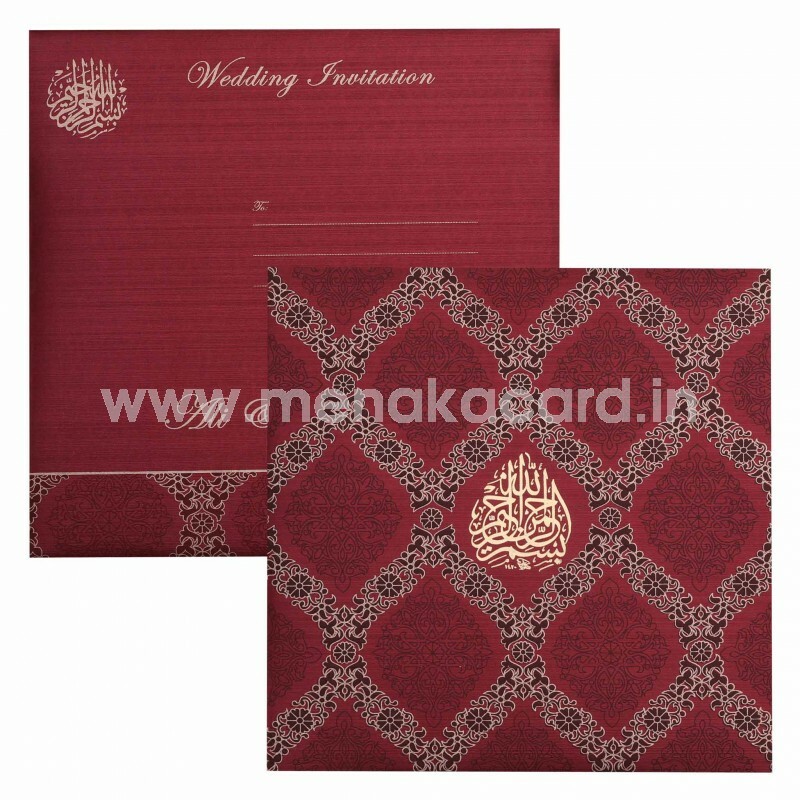 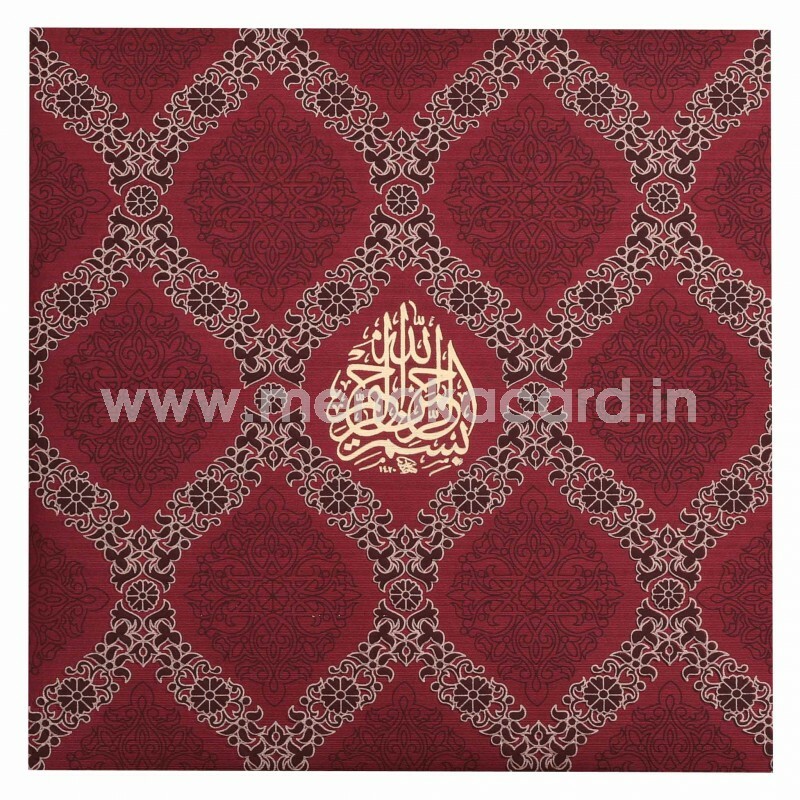 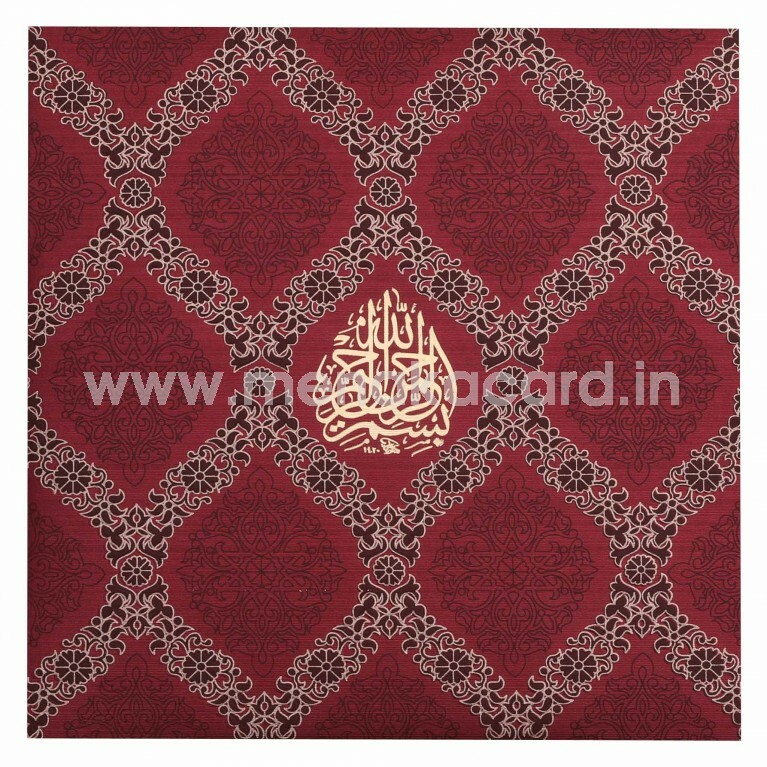 This Exquisite Maroon Card is printed on a shimmer board that has delicate Filigree printed in gold in and dark magenta on the front and envelope of the card. The simple Foil logo printed on the front of the book folding card ads the charm to the classy invite, but can also be customized to have any other symbol in a laser cut sticker as required. The Envelope carries a bold print of the filigree pattern in gold ink on the same lancer print as the card. 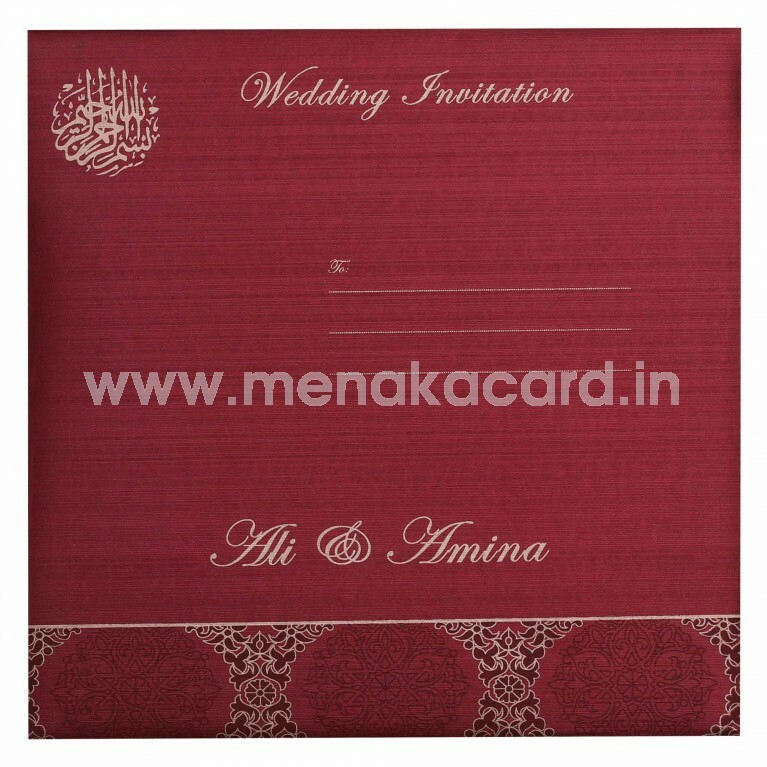 The card opens up to hold two default maroon inserts with contrasting text. 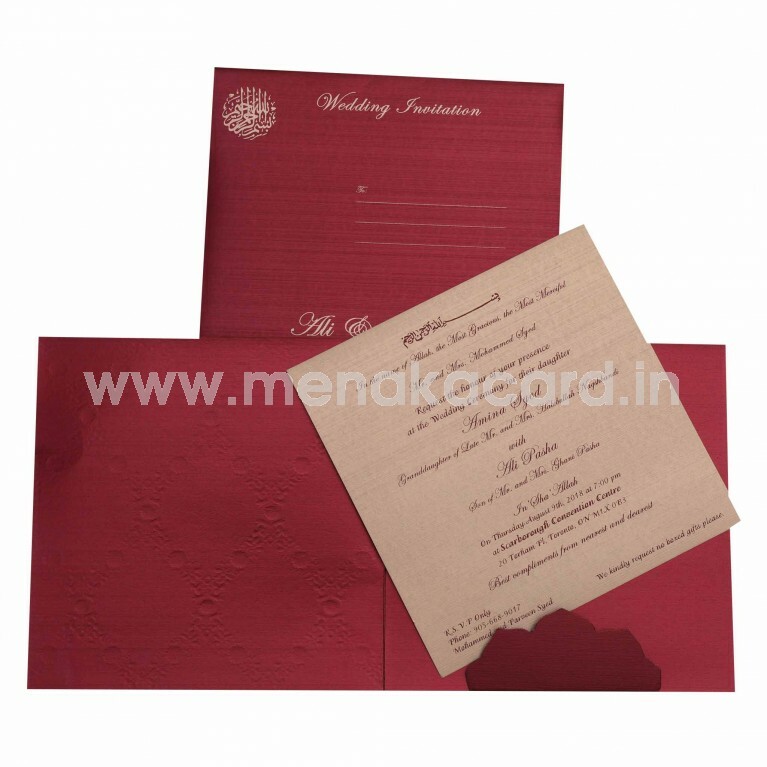 This Hindu wedding card can also be used for numerous other occasions including Christian, Muslim invites, Housewarming cards, puberty ceremony, upanayanam etc.